Composite shelves designed to look like wood. Provide work or serving space. 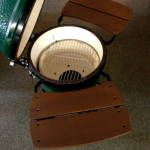 Big Green Egg Mates are made from a composite material to look like stained wood and are used with an EGG in a Nest to provide convenient working or serving space for your EGG. 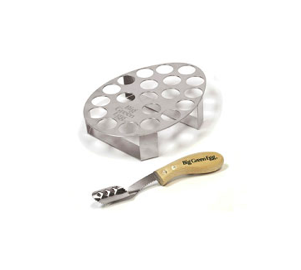 Never worry about not having enough space to hold pans, plates, tools, sauces or spices. 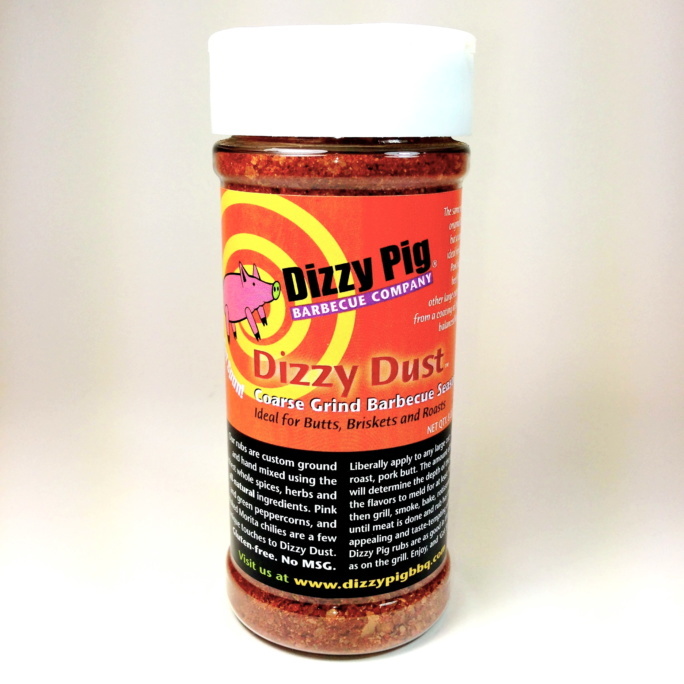 Big Green Egg Mates take out the guess work of finding a place to set items that you will be using during your cooks. Each box comes with a set of (2) two composite Egg Mate Shelves. 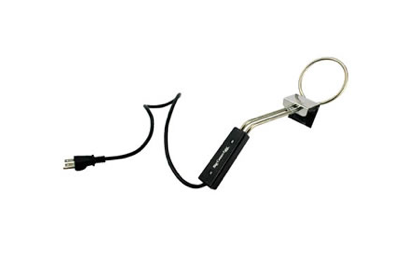 The set of two mates can be folded down when not in use making storage simple and easy. 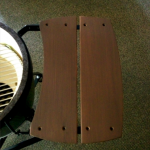 Each Egg Mate shelf has a (2) two cedar board design. 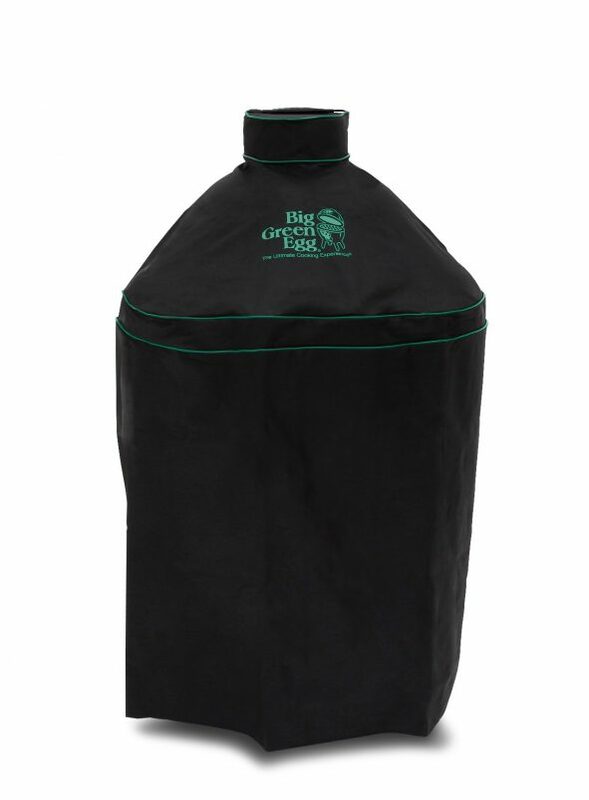 Big Green Egg mates are available for the x-large, large, medium and small EGG. 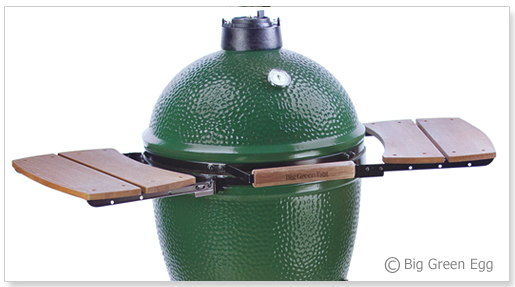 Big Green Egg Mates are attached to the black band on your Egg. Proper instructions are needed in order to remove the bottom black band and attach the Egg Mates securely. 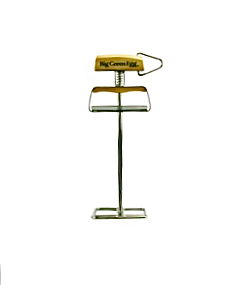 Attaching the Egg Mates is not a difficult process and provides a very sturdy and stable working surface when finished. 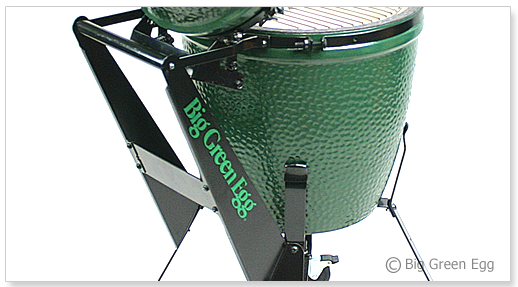 Fits x-large, large, medium and small Big Green Eggs. 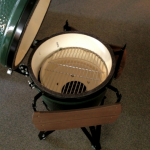 Accent your Big Green Egg with Egg Mates that prove functional and stylish when using your Big Green Egg.